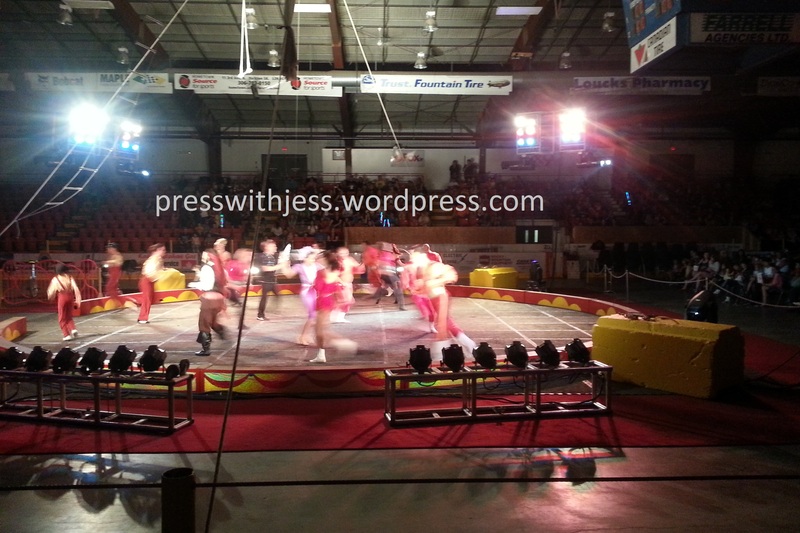 On Tuesday of this past week, I went to probably my first EVER circus. 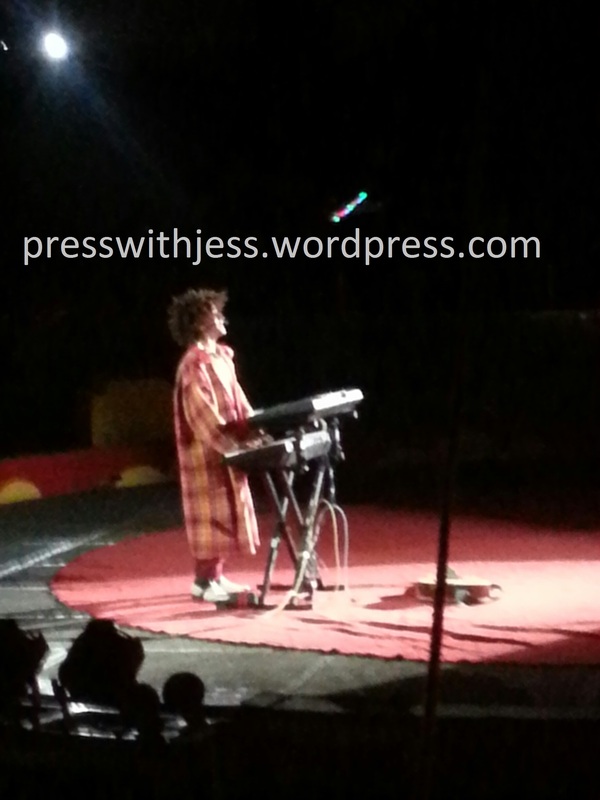 It was called the Wa-Wa Shrine Circus. It wasn’t a huge circus like Cirque Du Soleli. But it was a circus for me anyway :). There was a fair amount of acts like clowns, acrobats and a sword balancing. Personally my favourite part (s) were the sword balancing and the clowns. There were horses, but they were the only animals there. One act was a Clydesdale and a tiny little midget horse. The tiny horse kept biting the huge Clydesdale. All the Clydesdale wanted to do is get away from the little horse and the ring. So he left the ring a few times. I laughed. Clydesdales I read are normally very stubborn and hard to train. All in all it seemed actually well-trained – minus the trying to escape parts. The clowns were cool too, one of the clowns also doubled as the ringmaster. I think he was my age but I don’t know because of the dark. The oldest clown was riding a lot of bikes. Two of which were the smallest bikes I have ever SEEN!!!! The ring master who I think was around my age. I would love to be able to do something like this. There was souvenirs and food like all circuses have. Personally I think they should lower the prices. For example, a bubble gun was being sold for $20 bucks whereas I know you could buy it elsewhere $5. 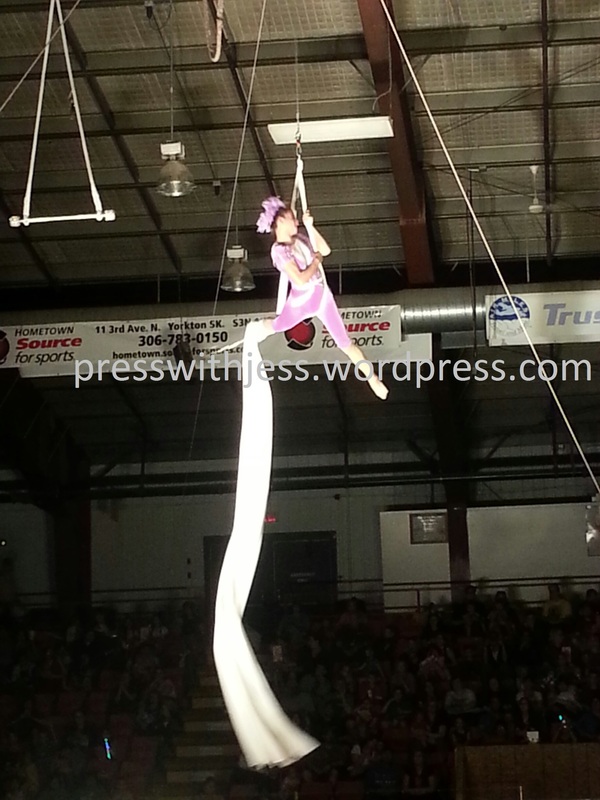 But, the circus is a way to raise money for the Shriners for the children that they help. They also need the money to keep hosting shows like the one I went to. It was a good show.